 (M) A number of our Missio grads are serving in leadership in the Southern Baptist Convention in our region. 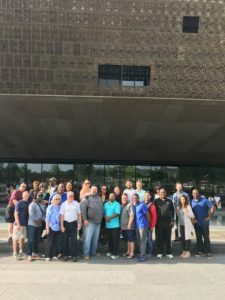 One of the missional, Kingdom strategies being pursued – racial reconciliation. 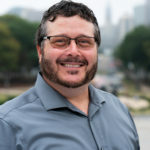 A set of pilot exercises and conversations are currently being conducted in southeast Pennsylvania that could end up impacting the whole convention, including deep into the south of the Mason Dixon line. Now, wouldn’t that be something? But there is hard work to do and some hard truths to face first, and on the way. 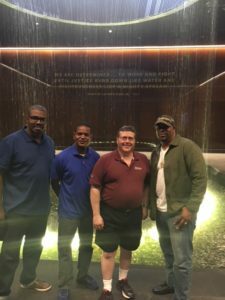 And this made very clear when we (Larry Anderson and Todd Mangum) together recently visited the Smithsonian Museum of African American History with a group of fellow Southern Baptist ministers and leaders, black and white. This is the brutal tragic reality of the enslaved conditions of America. (M) The elevator to the lower levels takes you “back in time,” but also feels like sort of descending into hell. Oh, it starts pleasant and innocuous enough – pre-1400, there was indentured servitude, even slavery, but a wealthy black person might “own” a fellow black person, maybe even a white person, as well as a white having black servants; but it was always temporary; or maybe part of the spoils of warfare. But then . . . conquest and colonialism; and, what is really painful to recognize: some of it in the name of “Christianity conquering heathenism,” Portuguese and Spanish whites began to conquer and export out the “primitive peoples” of the African continent as their slaves. Entering into the Western part of the continent, “where,” the exhibits inform us, “tribes of musicians and artists lived” (making it all the more heartbreaking to contemplate: so their gentle absence of military hostility was taken advantage of and made them “easy prey” by the true savages? . . . ). (A) How painfully ironic it was to turn from violently graphic displays of slavery auction blocks where families were being tearfully ripped apart to seeing a group of young white teenagers in the museum all donning red hats with the words ‘Make America Great Again’ on them. It reaffirmed that the America we live in, and the history we have been taught, is still very different. And then the (Anglican and Scottish Presbyterian) British Isles got into the slave trade business – and expanded it, and industrialized it, and exponentially multiplied both the number and the brutality of the “Atlantic Slave Trade,” a trade that provided slave labor to the entire U.S. at first, and fueled the entire U.S. economy (north and south, even when actual slave owning remained legal only in the south) thereafter. (A) The beauty of the museum was with each floor you climbed, the history of a people climbed as well. However, the sad reality was with every new level there was a new devil, with each opportunity came evil opposition and the greater the advancement the greater the adversity. So it was never easy, nothing was ever given yet the resiliency of a people continued to shine. But, how embarrassing is that? The Romans and Jewish leaders didn’t know that they were doing this to One who was fully God in the flesh – there’s an element of that that’s understandable; of course they couldn’t be expected to know and understand that this “man” before them was actually incarnate God-in-the-flesh, a supernatural, once in eternity phenomenon. But we, we white Western people on the other hand, what is our excuse? We didn’t know that you were fully human? Because of the profits from our market goods your slave labor provided, we have to admit we coaxed ourselves into believing you were not really human, just like us; with feelings, and intelligence, and hopes and dreams and entitlement to pursue them, just like us? And, with all the horror needing to be reckoned for of depriving them for so long, so unjustly, so brutally, and so incorrigibly? Yes. Yes. That’s what I, what we, need to admit to and ask forgiveness for – forgive us; we sinned so mightily against you, against your humanity, incurring a debt to you, your families, your generations that we can never repay. What can we do? Please forgive us! (A) The joy of this trip was walking through the museum with my Christian brothers of the lighter hue. The opportunity for them to see the contributions of African Americans to the American economy from its beginning and to recognize that the prosperity of America came at the brutal peril of making a whole people group its primary commodity. 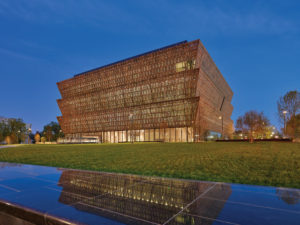 “Their lives were embedded in every coin that changed hands, each spoonful of sugar stirred in a cup of tea, each puff of a tobacco pipe, and every bite of rice.” Official Guide to the Smithsonian National Museum of African American History and Culture Pg.40. (M) After a grim six hours in the museum, two rays of profound hope and encouragement could be found as we exited together and made our way back to the outside world and the current day. 1) Though the injustices and pain of the history we just explored remain with us to this day and still have yet to be accounted for in pursuit of re-balancing the scales of justice, we – brothers and sisters in Christ, who love the Lord and are pursuing the Kingdom – went through together, as brothers and sisters in Christ. As we begin the hard conversations of, “what do we do now? What can we do?” we do so as brothers and sisters in Christ. The pain and injustice inflicted is recognized by all, white and black, to have been inflicted – and still calling for rectification – of fellow human beings, and we begin to engage this injustice as brothers and sisters in Christ. And 2) this museum is right in the heart of the U.S. capital city, just across the street from the Washington Monument. Yes, it serves as something of a black eye on the too-often-sterilized, idealistic propaganda that passes as U.S. “history”; but, kind of like the inspired accounts of the history contained in Scripture, here’s a museum that tells the full truth, warts and all. We at least live in a country where the truth is told right here in black and white, for any with eyes to see and ears to hear to find. 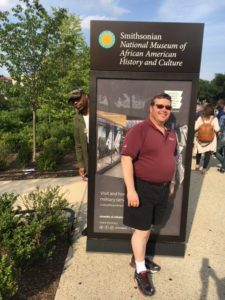 (A) At the end of this trip all I can say is I wish this history was not isolated in this beautiful museum and labeled African American History because it is American History, featuring African Americans. In addition, I wonder if we had a more honest and transparent curriculum within our education system would our world be a little more racially sensitive and appreciative of its diversity. (M) Jesus says to His listeners at one point, concerning why such horrible things happened to people they knew in Jerusalem, “Do you think [those who suffered horribly] were more guilty than all the others living in Jerusalem? No…Unless you repent, you too will all perish.” (Luke 13:1-5 NIV). Likewise, white people – even white people who never owned a slave, who “personally disapprove of slavery,” and/or whose family was born and raised in the north as long as anyone remembers – do not tell yourselves, “but that wasn’t me.” The truth is: slave labor supplied the cheap cotton, cheap sugar, and cheap tobacco that propelled the American economy to a head start in the industrial age; meaning: every white American inherited benefits from the brutal inhumanity of the Atlantic Slave Trade, benefits that still have accrued to white people (at the expense of black people) still today – a debt that has never been repaid and likely will never be able to be repaid this side of eternity.